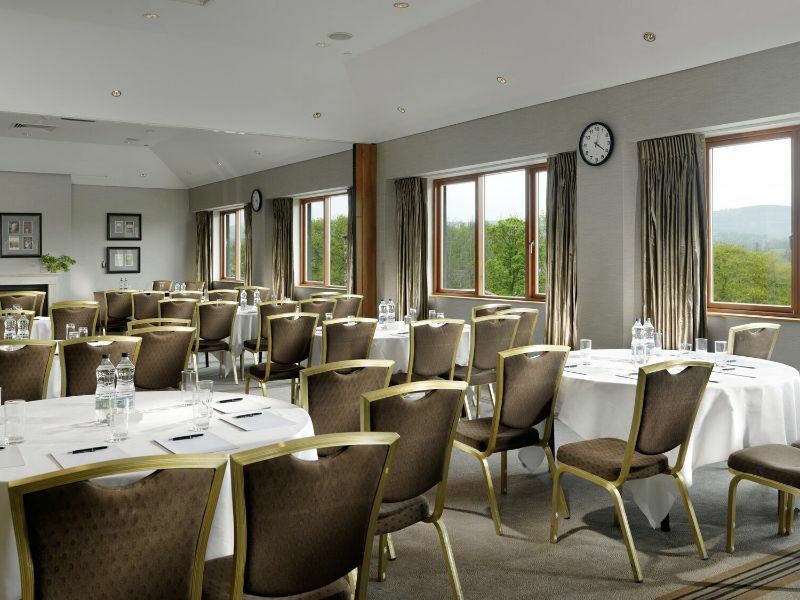 At the five-star Druids Glen Hotel & Golf Resort, nature and luxury meet to create a memorable event, provides a range of versatile spaces which can be adapted to meet your requirements. Choose from eight suites, the largest catering for up to 400 delegates, as well as an outdoor team building space, Druids Acres. The superior business facilities and refreshing natural environment at Druids Glen make doing business a pleasure. 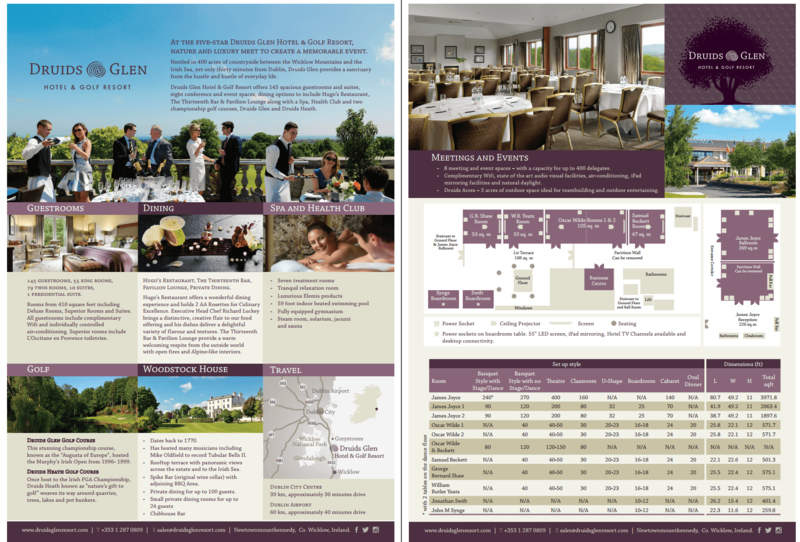 Druids Glen can cater for executive retreats, incentive programmes, meetings and conferences, corporate team building and private dinners. The Resort is also available exclusively, should the event call for it. Our experienced team will ensure a memorable event with their attention to detail and expert hospitality. Contact our Sales Team on +353 1 287 0809 or email our Sales Team directly.